Ah, grilled cheese sandwiches. Is there a more perfect comfort food? Soft, squishy bread, perfectly buttered and toasted to a gentle crisp and hugging just the right amount of creamy, melty cheddar cheese. It’s like talk therapy in food form. Okay yes, I’m being hyperbolic, but it’s National Grilled Cheese Day, so there’s no better time to get Shakespearean on this treasured American dish. 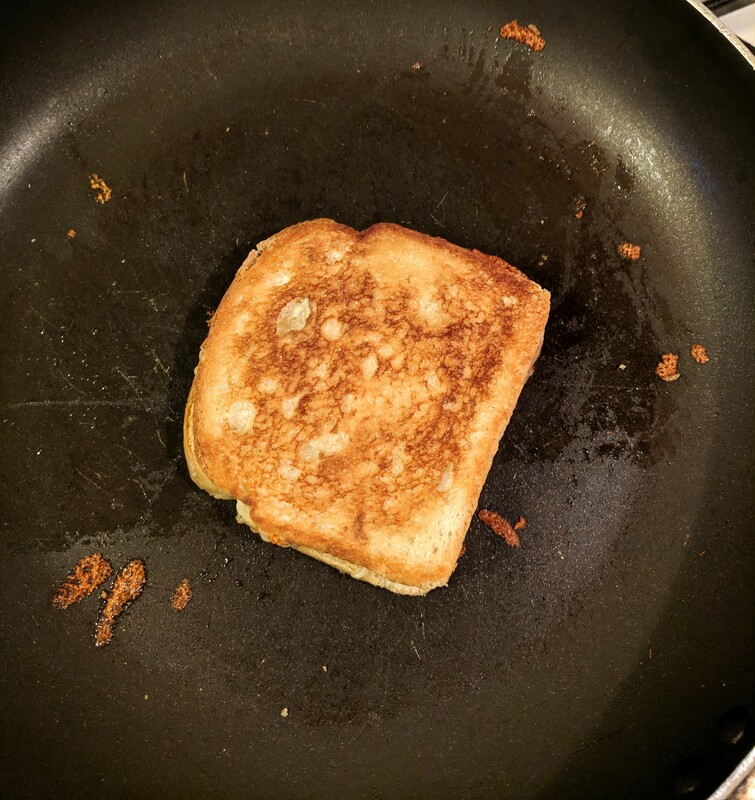 To celebrate this most important national holiday, I decided to try out the internet’s favorite grilled cheese recipes (based on number of ratings and reviews) to see if there really is one ultimate method: New York Times Cooking’s recipe, which has 1,277 ratings, Bon Appétit‘s “best-ever” recipe, with 303 ratings, and Allrecipe’s guide, which has 576 reviews. 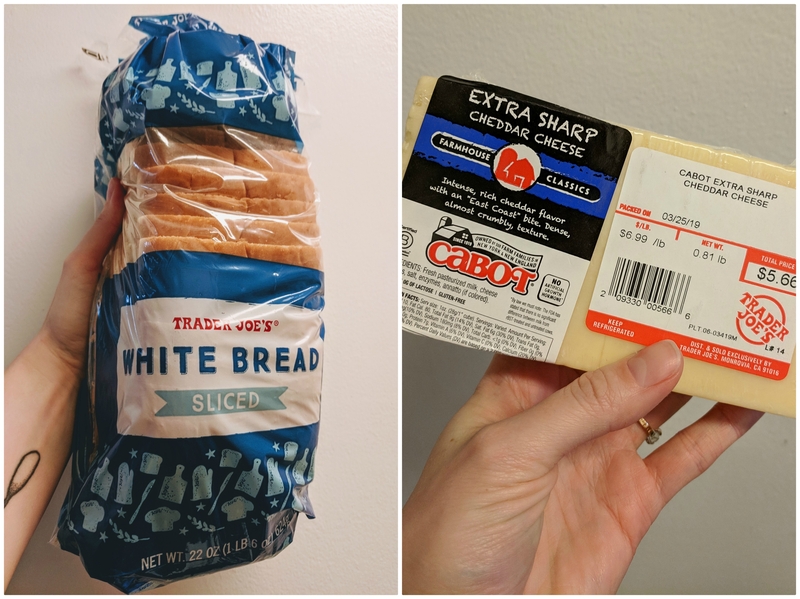 I started on a level playing field, using the recommended white bread, cheddar cheese (American was also an option listed in some recipes, but I find it a little bland so I skipped it), and unsalted butter, and I asked my partner to weigh in on the finished sammies, too. We first ate a piece of each sandwich as it came out of the pan (to sample it in its purest, freshest form), then ate another piece of each one in succession once all three had been cooked (to sample them back-to-back). This recipe calls for mayonnaise on the outside of the bread and butter on the inside, so I knew I was in for some major fatty flavor. The Times also recommends using shredded cheddar rather than sliced, and cooking the sandwich open-faced until the cheese is halfway melted. 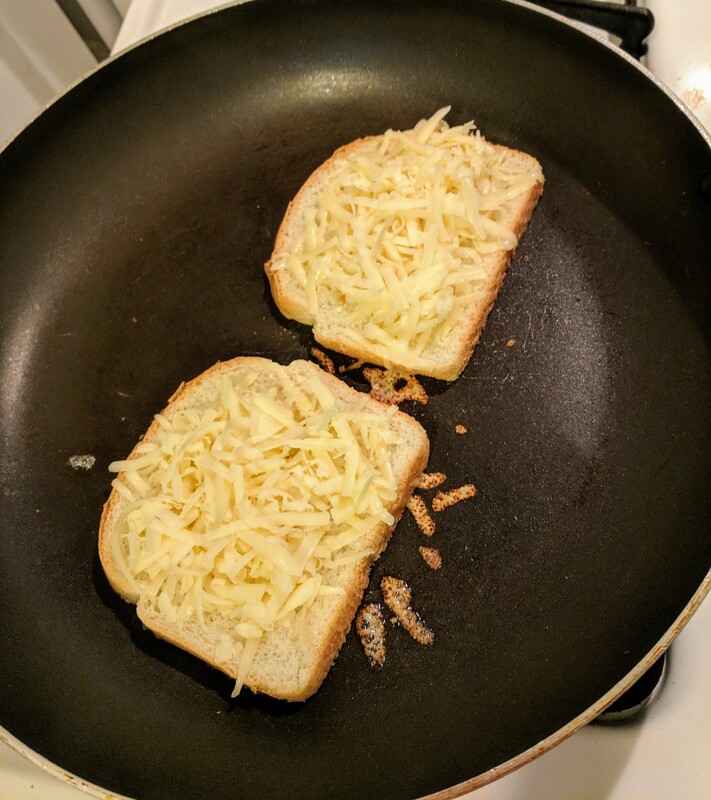 The shredded cheddar was a little tough to keep organized on top of the bread (hence the crispy bits in the pan), but it did yield the stringiest melt of the three. My partner called this sandwich “crispy” and “creamy,” which I agree with, but I’d also say it was a little on the heavy side. I’m not sure I needed the butter on the inside of the bread, but the mayo on the exterior did result in an unparalleled crunch. This recipe also calls for mayonnaise on the outside of the bread, but recommends cooking with a buttered pan instead of buttering the inside of the sandwich. The biggest twist here? 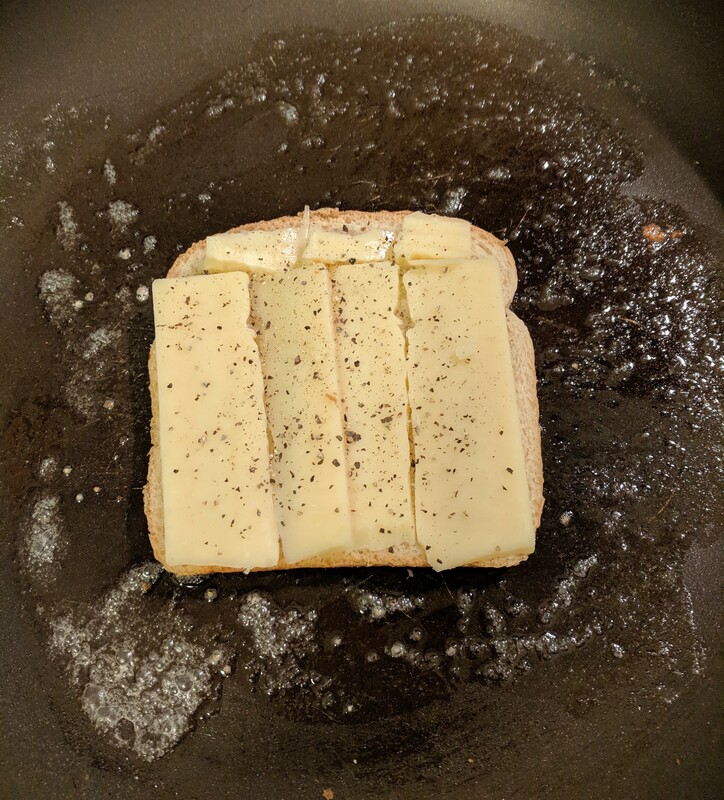 A grind of fresh black pepper on the cheese before closing the sandwich. I admit that I was a little skeptical of this recipe. Double fat on the outside of the bread seemed excessive, and was black pepper an unnecessary twist on a classic? Plus, the comments on this recipe were, uh, a bit unusual for a food site; “wtf your grandma chocked and died” was the biggest head-scratcher. There was one great thing about the black pepper, though: I didn’t tell my partner about that recipe detail and was thrilled when he exclaimed, “This one’s got a little kick to it!” after his first bite. This recipe recommends melting butter in the pan first, then adding your first mayo-slathered slice of bread, topping with cheese slices and pepper, then adding the second slice of bread and grilling for about four minutes. Halfway through, when you’re ready to flip the sandwich, Bon Appétit suggests you lift the sammie and add a second pat of butter to the pan before grilling the second side. This resulted in an evenly buttery, crispy exterior, but I did find the lifting/flipping/buttering dance a little awkward. The most traditional of the three, this recipe calls for just three ingredients: butter, bread, and cheese. I started by “generously” buttering the outside of the bread, as recommended, then layered bread, cheese, bread in the pan. Allrecipes gave the fewest instructions in terms of timing and technique, so I followed my instincts on cook time and how-to. My partner called this one “bland,” and I found it to be what the Brits call “stodgy”—unpleasantly heavy with a kind of thick mouthfeel. Hands down, my partner and I most enjoyed the Bon Appétit recipe. The kick from the pepper was a welcome addition, and the double fat on the outside of the bread produced a perfectly crisp exterior without pools of excess grease. We could taste the flavor of the cheese, and it melted evenly in the suggested cooking time. A champion! I learned a few things during this process, too. First of all, cook your grilled cheese sandwiches with the lid off. 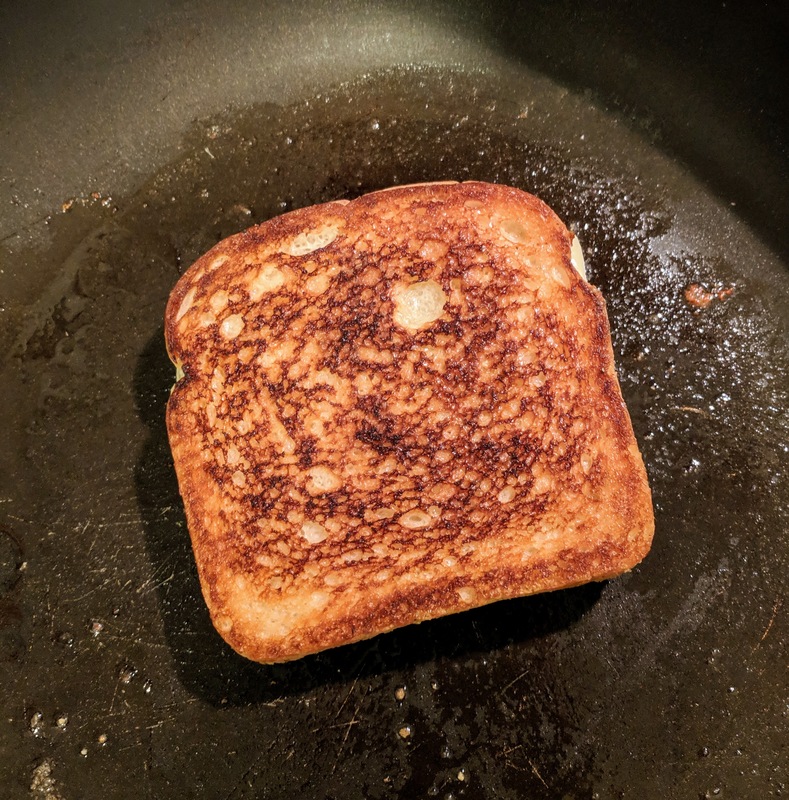 I don’t know about you, but I was always told to cook a grilled cheese with the lid on so that the cheese would melt evenly, but that pretty much always results in burnt bread and bitter, burnt butter. Yuck. Which brings me to tip number two: use your spatula to squish your sandwich (gently!) as it’s cooking. 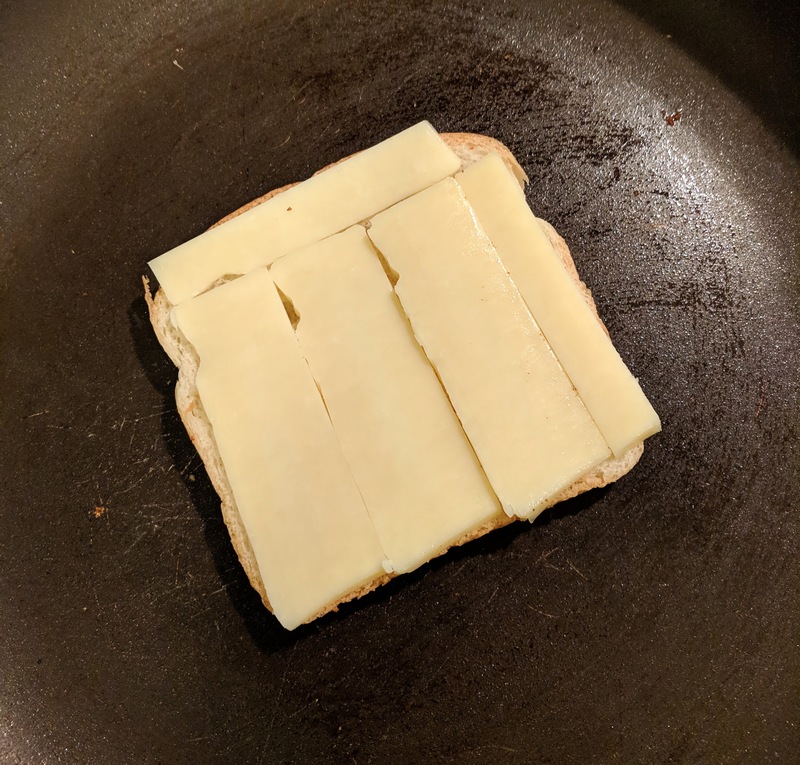 Both the NYTimes and Bon Appétit suggested this technique to help melt the cheese evenly, and it works wonders. Finally—don’t be afraid of mayonnaise! 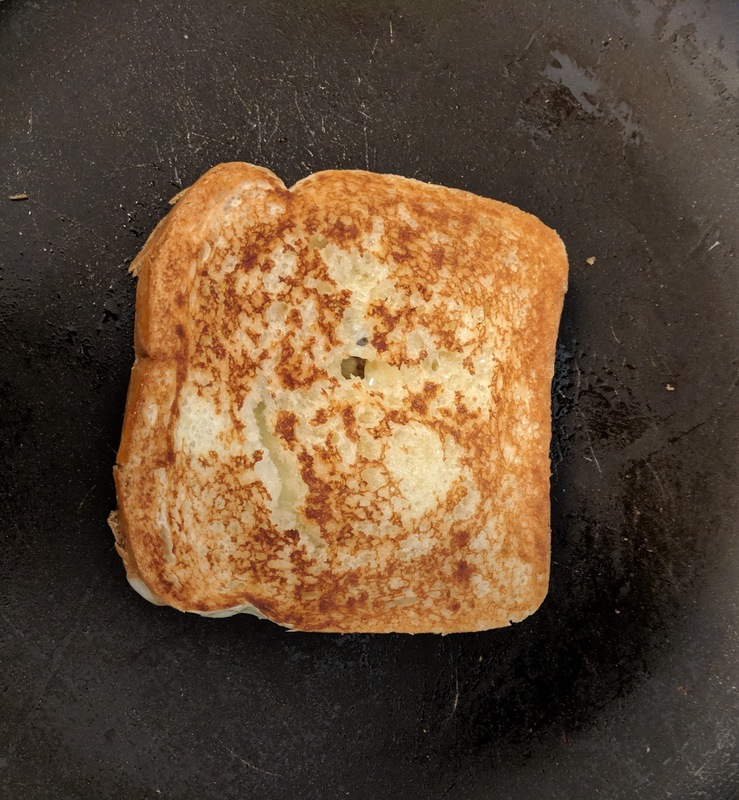 My partner normally avoids it like the plague, but it elevated these grilled cheese sandwiches so profoundly that he might be a convert.